I’ve always wanted a mantel to decorate for Christmas. I finally got my wish this year, but as most of you know, the road has been quite bumpy the past 5 months while attempting to get settled into our new home. However, I will say, I enjoyed decorating the mantel, and I love how it looks decorated for Christmas. This year, I decided to go with a classic christmas mantel. And by classic, I mean I stayed with red, white, and green. I also wanted to do something with buffalo check. To put the mantel together, I used some stuff I already had, but I did up buying and making some things to create the whole look. 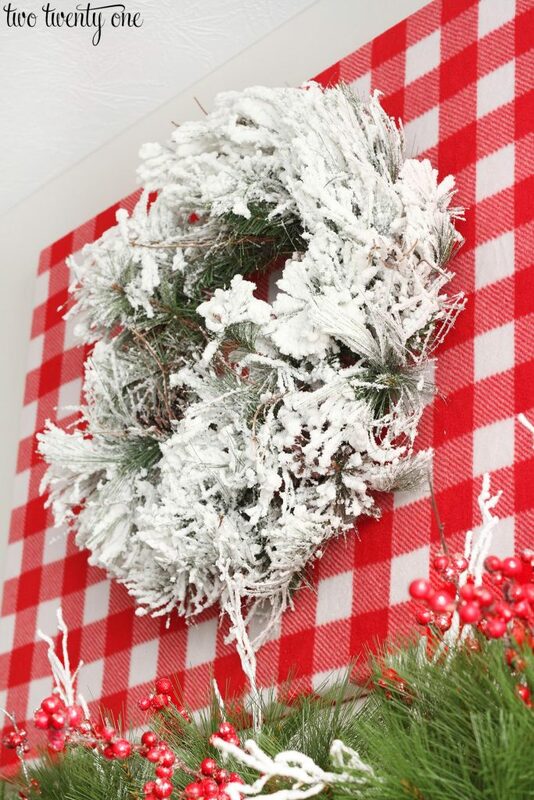 I purchased this flocked wreath five years ago at Gehlhausen, a florist in Brad’s hometown. Their after Christmas sale is the best. Last year, I packed our car to the brim with all my 50% off finds. I made the 30″ x 48″ red buffalo check wall art the wreath is hanging on. I’ll share the tutorial for it later this week. The faux sheepskin stockings are from Pottery Barn, circa 2015. I checked and they no longer make them. Good thing I planned ahead and ordered two additional stockings, just to be safe. So Baby No. 2 is covered next Christmas. I hung them with Command Brand hooks. 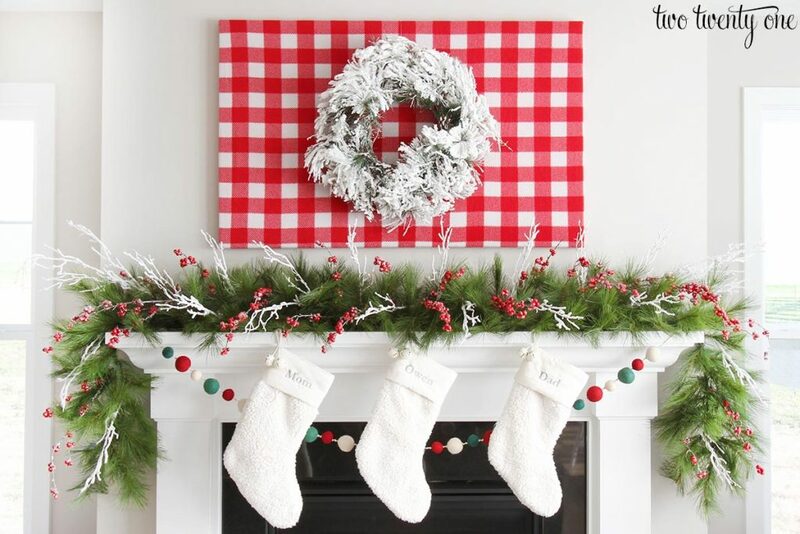 I bought the red, green, and white pom pom garland from Target last year. 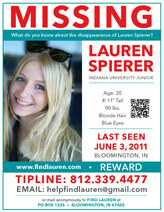 I’m sad and surprised they’re not offering it, or something similar, this year. 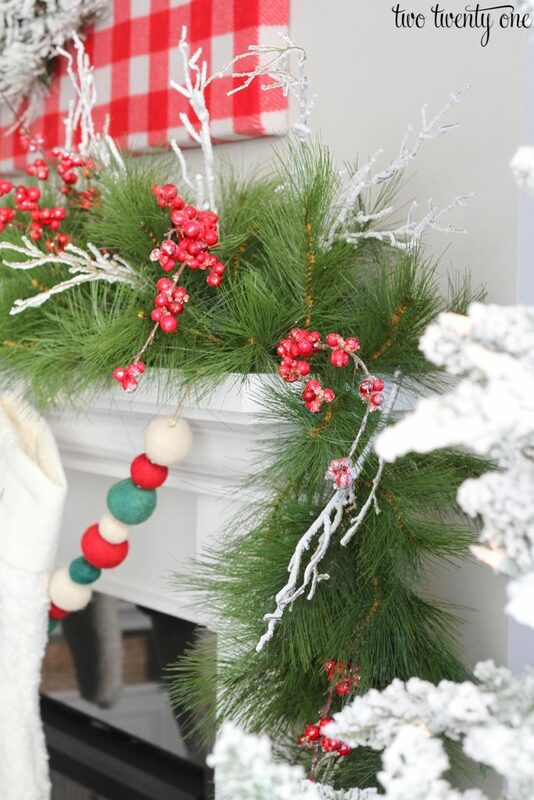 The faux garland, sans flocked branches and berries, was a Gehlhausen find from last year. I bought a bunch of large flocked branches and berry branches from Michaels when they were 60% off, plus an additional 20% off. Then, I used some wire cutters to separate them into smaller pieces. I just stuck them into the faux garland. The living room feels so cozy with the Christmas decorations up and the fireplace on– especially at night. 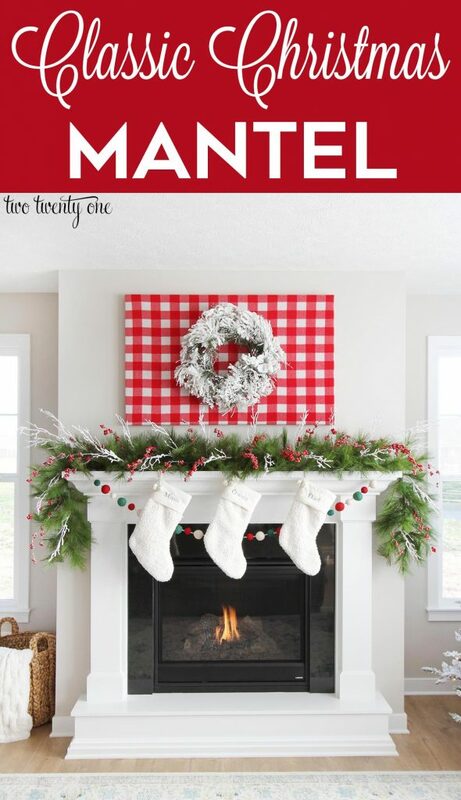 I’ve teamed up with 17 other talented bloggers to share our Christmas mantels or vignettes. 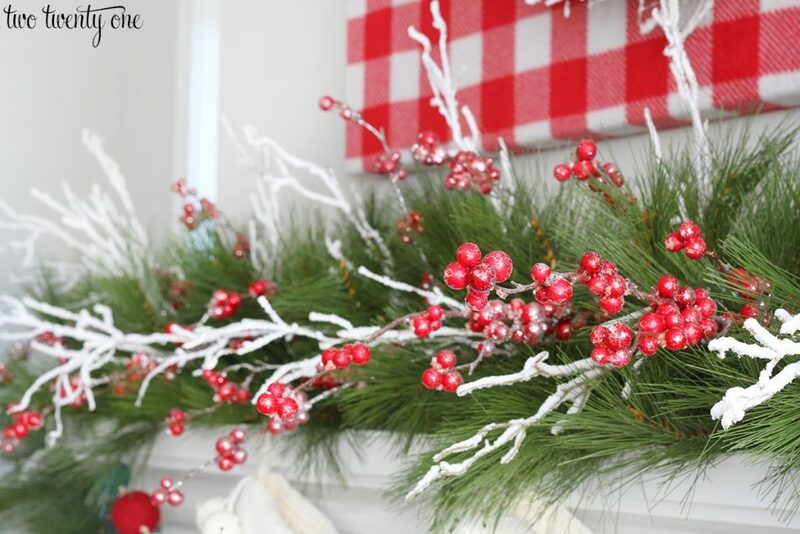 So if you’re looking for some Christmas decorating inspiration, definitely check them out! Your husband must be from Evansville! I just moved from Evansville to Atlanta! Super pretty Chelsea! I absolutely love the crisp classic feel of it!! It’s so bright and cheery and fresh. Thanks for taking part in this hop!! I love classic colours for Christmas decorating! Your mantel looks lovely Chelsea! 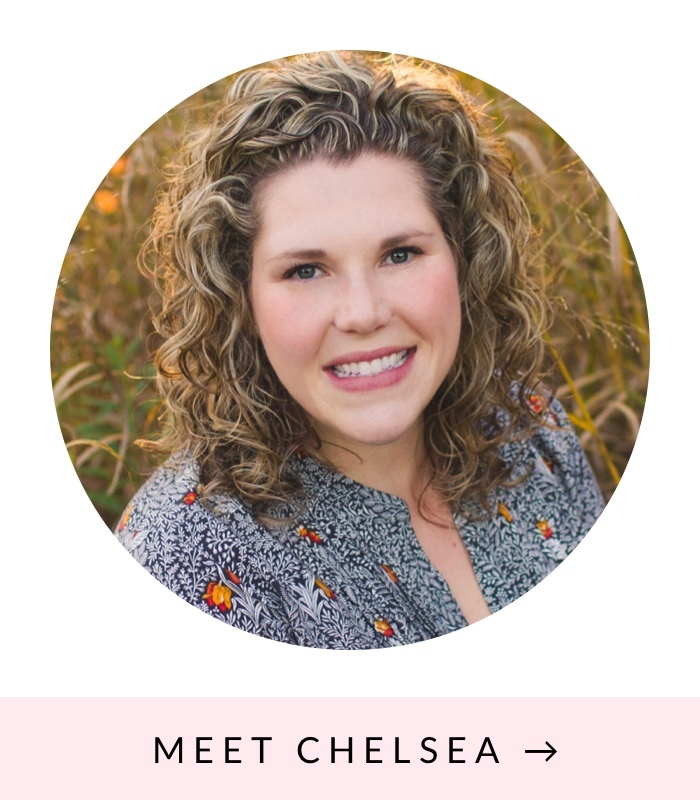 This is gorgeous, Chelsea. I’m a sucker for the simple and classic colors – and I love how it’s cheerful and playful. I’m wishing I had grabbed those pom pom balls last year, because they look amazing! I love the classic style against the white mantel. I love the way that you decorate. You seem to be able to mix and match items that you already have. Love the mantel. I always would love to have one! Looking forward to the next holiday and see what you come up with . Wish you and your family a merry and happy holiday. ??☃️? So pretty Chelsea! Love the red and white check artwork you made. It really makes your wreath pop! 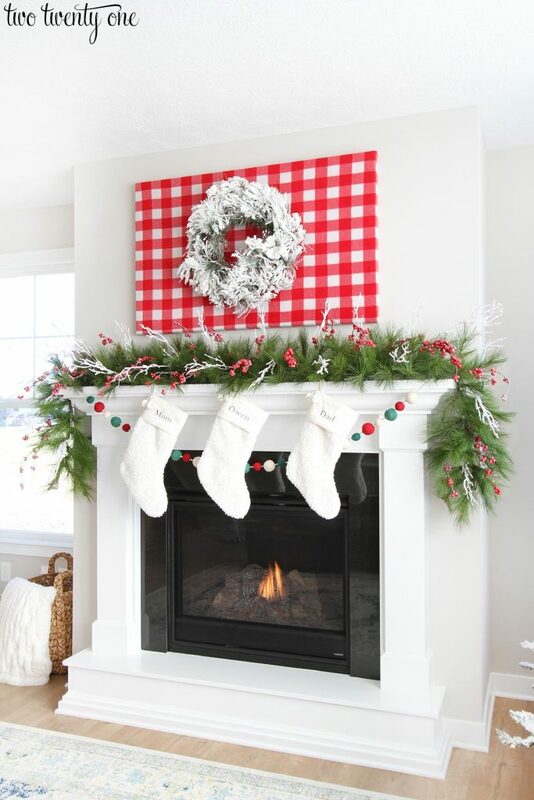 Such a gorgeous classic mantel! 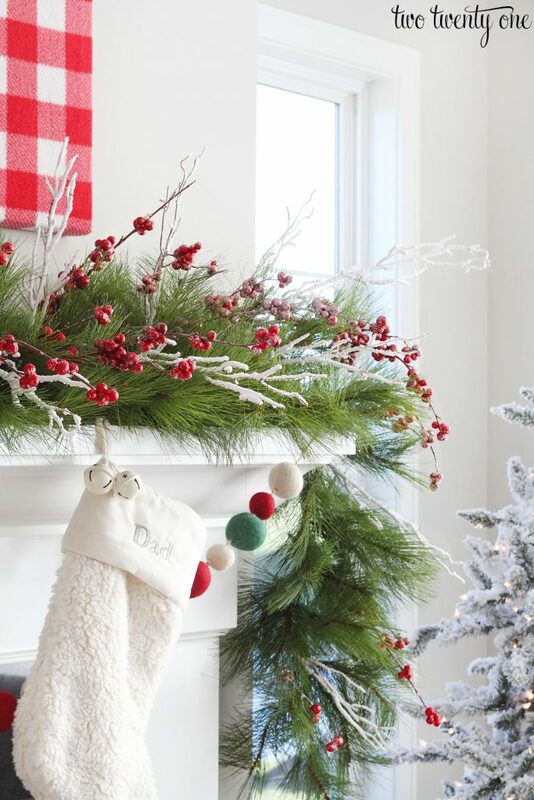 I love that pom pom garland, wish they were selling it this year! 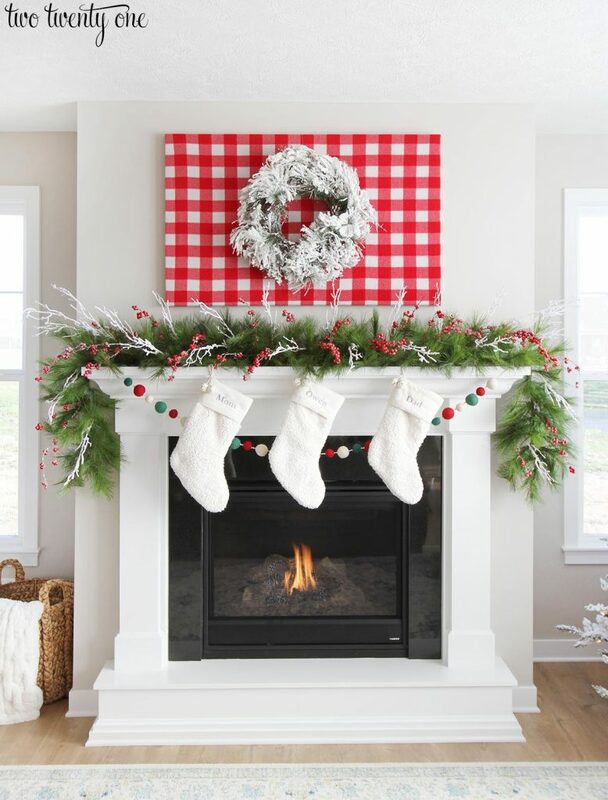 Love this minimal take on the Xmas mantle! Gorgeous.